Sure-Foot works with your safety in mind. Our BOLD STEP® anti-slip line features permanent and attractive solutions for worn problem areas, dangerous steps and slip hazards. 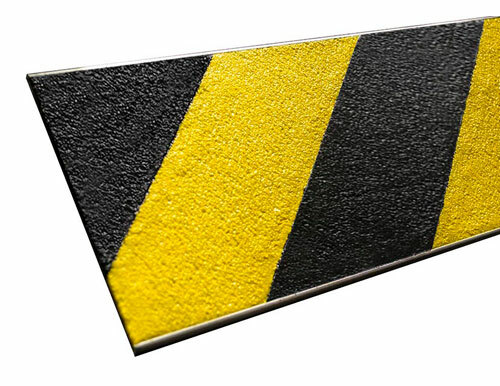 BOLD STEP’s Anti-Slip Hazard Safety Plates are ideal for use on interior or exterior steps and landings. The 5.5” size is one of the most popular in our hazard safety plate line. Even better, our design team is ready to partner with you to create exactly what you need, including custom colors and/or custom lengths. To prepare for a safety plate, you must remove any projections or obstructions and remove all loose dirt and debris. The surface must be flat for optimal results.